Today's Sensational Shop is Cross' Critters - run by Megan Cross! 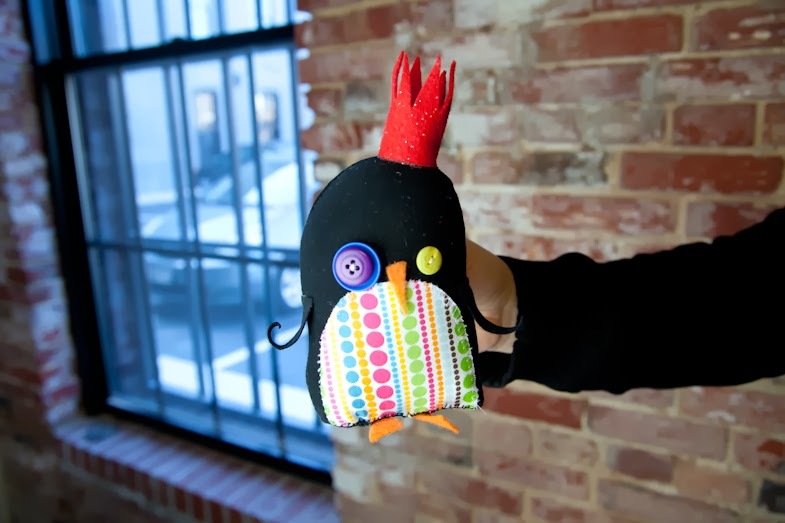 Hi, my name is Megan Cross and I am the brains, hands, and heart behind Cross' Critters. I started off as a painter, but never really felt like I "fit" with the materials I was using, so I began to explore and play with different mediums. It was then that I found my true love, textiles. I started to blend paint with my fabric and stitching, and by my last year of school, I was working primarily in textiles and loving every minute of it. While I still enjoy painting and drawing occasionally, the majority of my time is spent seeing what new creations I can conjure from my fabric. In an attempt to avoid being buried alive under my hoard of buttons, fabrics, and various knick-knacks, I continually sew. Sometimes I feel like a mad scientist, bringing all sorts of dolls and creatures to life. I sell a variety of stuffed critters ranging from original creations to fan art. I also make wooden Steampunk wings that will give any flightless dreamer inspiration. I've been branching off into a range of felted and crocheted products also. Hmm, that's a tough one. I really like making all of my products. Since I don't work from a pattern all my critters turn out different so it's always a fun surprise to see what they look like after I finish the,. 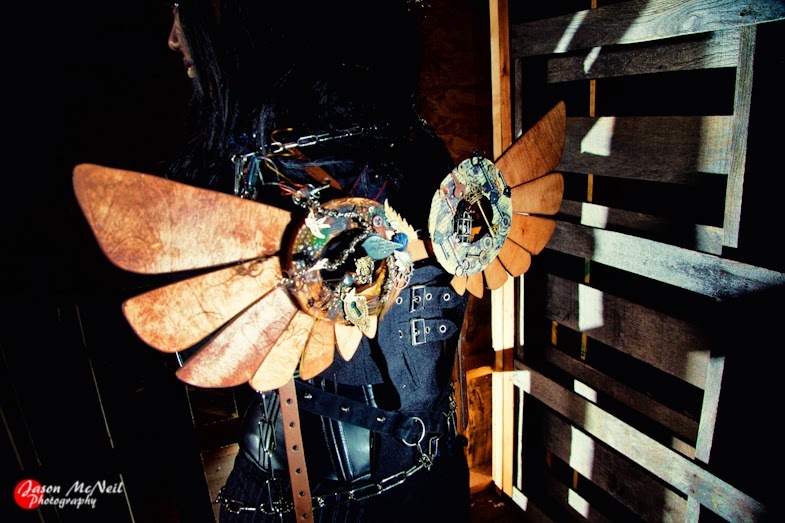 But from an artist standpoint I think i like making my Steampunk Wings the most. They follow a basic formula to make the base of the wings but when I get the bases made they are a blank canvas. I guess it just makes me nostalgic for my art school days. They give me a little more room for experimentation. I kind of started it by accident. I had made a few critters during my sculpture class (and learned how to weld for the same project) during college. My friends liked them so much that they started to request different animals. I then slowly started to incorporate sewing into my paintings and eventually made the leap and had a thesis show of all soft sculptures. After school I bought a sewing machine and started sewing for fun and friends. At a convention I was carrying a Mudkip I made and ran into people who were starting a small convention and needed people for the artist alley. They invited me and gave me the table for free so I figured why not? I guess I just never thought to stop sewing and going to artist alleys. Thanks for taking the time to look at my work and read my ramblings! Thank you so much for stopping by to meet Megan Cross of Cross' Critters! I'll see you next week for another Sensational Shop Saturday!